Much more, check out the mod yourself! Q: My dog doesn't response to any commands and is stuck on 1 health with a red texture, what do I do!? When a dog hits 0 health it doesn't die instead goes into incapacitated mode where it becomes unresponsive to any interactions. To revive your dog to good health you must feed them a cake. Q: How does hunger work? A dog can a maximum of 120 HP (Hunger points) meat will increase their hunger, and happy eater talent will increase amount got from these foods and allow them to eat fish and rotten flesh. As long as they have hunger they will slowly regen health and when a dog is sitting it will slowy regen hunger. Q: How do I kill a dog? A sad question but frequent one :( You can disable immortally in the config file or you can use the collar shears on a dog twice to turn it back into a wolf. Q: Are the dog beds and baths just for aesthetic purposes or have functionality? Mainly aesthetic you can put your dog in the bath and it will continuously shake! Q: Which MC versions are supported? Currently MC 1.12-1.13 are receiving updates other versions will only receive updates if there are game breaking bugs (this means it crashes the game). Check out the Github Wiki for more details, recipes and pictures! Got any issues? Please post all issues and questions on Github! It makes out work a lot easier whenever we can get all of the issues together under the same page! 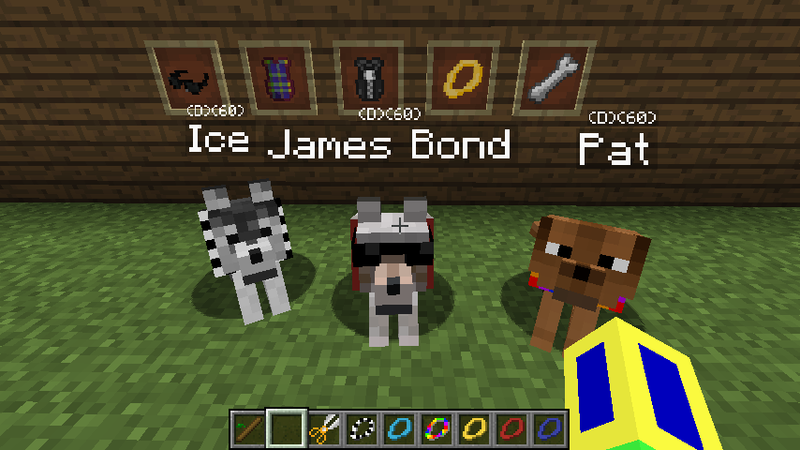 This mod is great, but I have a few questions: What is the doggy charm, why do you spawn with it, and why does it have no crafting recipe? Gotcha. Thanks for explaining. I feel like it should probably be disabled by default, but that’s all right. Thank you for this mod. I wonder how can we heal our dog please ? I put a cake near him but I guess it's not about that only ? What keys or things are we supposed to do to heal him please ? Also he sometimes takes damage (1 hit every 5 seconds) https://i.imgur.com/KO9l5d8.jpg, I guess it is about hungriness ? As well as health a dog has hunger feeding them meat/food will increase their hunger, as long as they have hunger they will regen health. (When a dog is sitting it will slowy regen hunger). If they hit 0 hunger they will start taking damage untill they are on 1 health, at 1 health they will go into incapacitated mode and will not follow any commands or interactions. The only way to get them out is to feed them a cake. Since you can't kill a dog if you want to get rid of one use the collar shears on them until they become a wolf and then you can kill them. Ok thank you for your precious informations. And to give him meat/cake/food we just hold the food in the hand and right click on him right ? Thanks for the vid! The dog bath and dog bed are just or decorations, however if you put the dog on the dog bath it will shake itself dry. There is a scissor to let you do that, and you could eliminate...., nothing, never mind. Why cant i change the dogs gender to true in the configs? How do you change the dog model? 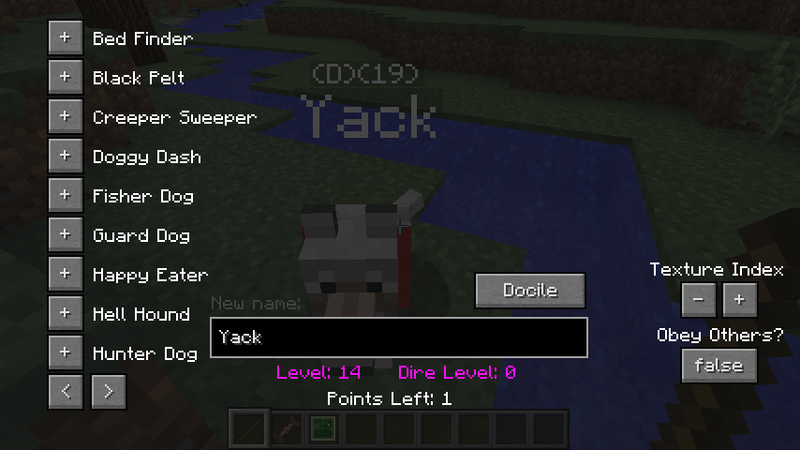 To change the skin enter the dog gui by right clicking on the dog with a stick, then you hit the -, + buttons to change the skin. 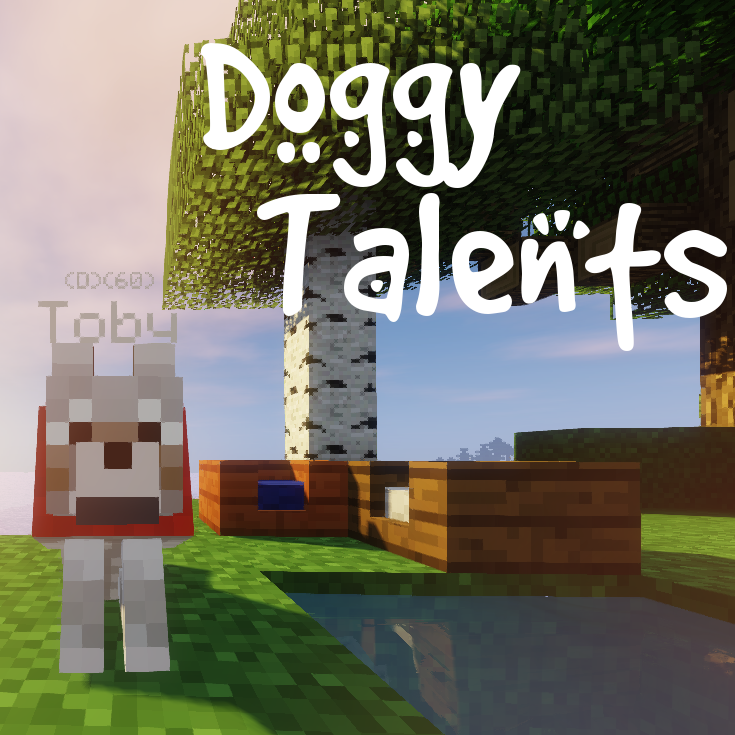 There are a 13 skins built in already but are many free spaces for your own dog skins if you want to add them. 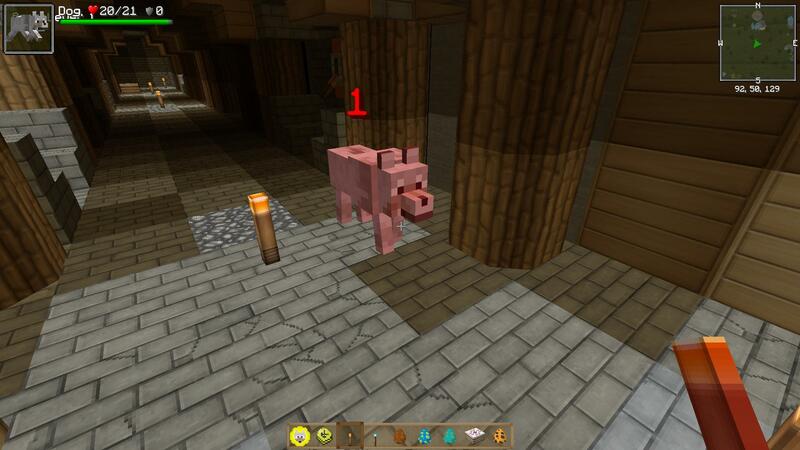 There is a 1.8.9 version, and I believe that mods made for 1.8 or 1.8.9 will work on either version.